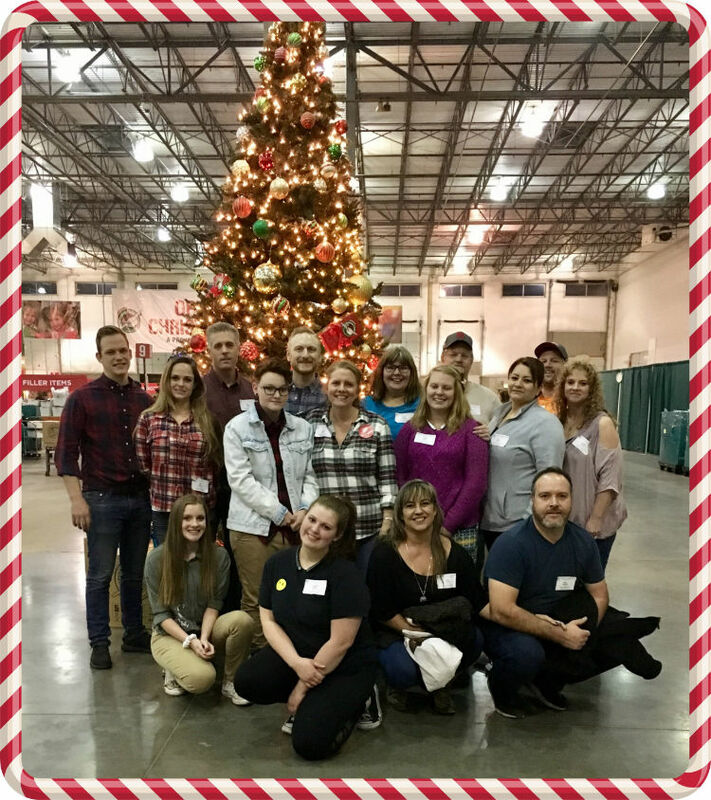 Nine members of the RSS team (and several family members) volunteered at the Operation Christmas Child processing center in Denver on November 30th. With only eight processing centers in the U.S., we felt very grateful for such a special opportunity. We had so much fun and kept very busy for the four hours we worked at the center. The center operates with the goal of processing 55,000 boxes a day! 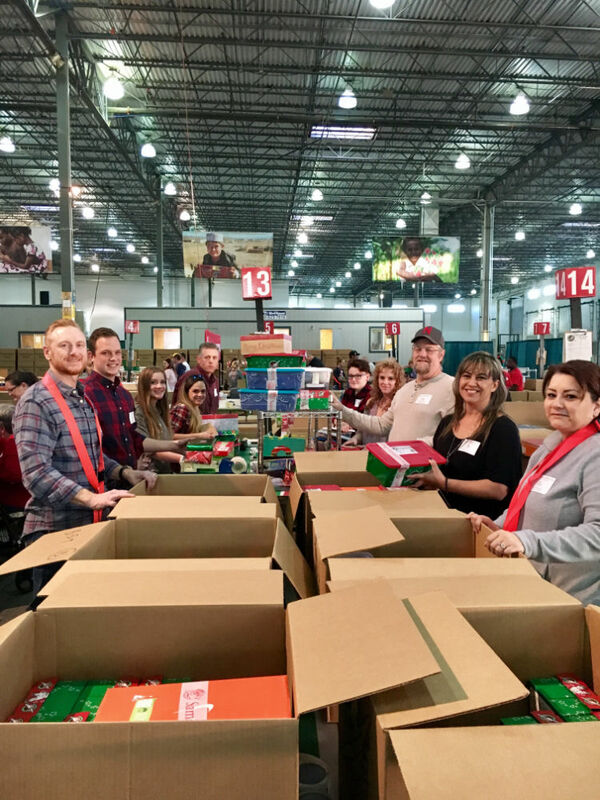 The Denver location plans on shipping 790,000 boxes by truck to children in Mexico this year. The boxes received by the center are processed so they can continue their journey into the hands of needy children. 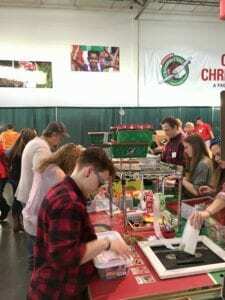 We worked well as a team (of course) and were set up in different positions at an assembly line processing station. 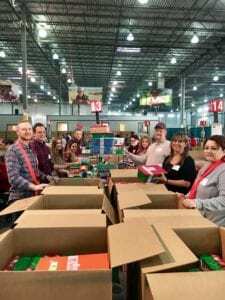 We inspected the boxes, removed any items not allowed to be shipped and then if needed, added additional items to complete the boxes and make them as full and as special as possible. The boxes then were taped, scanned, repacked and then moved to a loading location. We were so impressed by the facility and organization of the whole program and center. 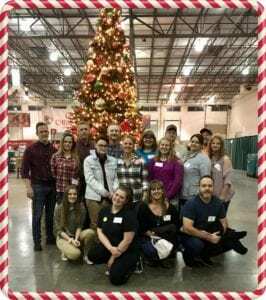 Samaritan’s Purse does an amazing job with their Operation Christmas Child ministry and we were so excited to be a part of volunteering in their center again this year. We will definitely be back in 2018!